Attached please find a photo with my new set-up. You could find a pair of 2A3se on the last photo and as you said the small se amp would not be the amp to do the tricks. 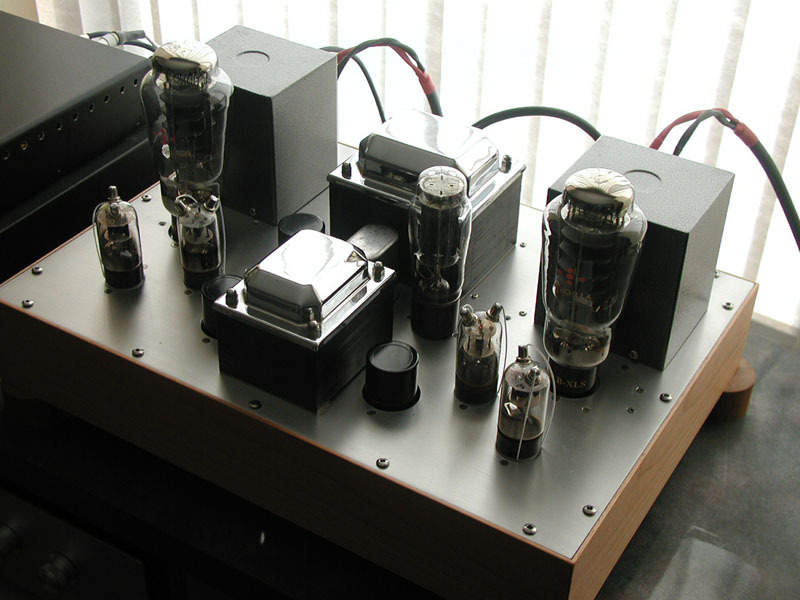 I therefore make another amp with bigger power for them, an OTL with 6C33C. With this 25 watts amp, running for only about a week after it was finished, it shows its authorities that I dont have to play loud to feel the big impact and big/wide sound stage. Since I have an old version and before Im going to order parts for up-grade. I therefore did try a minor modification on tweeters crossover by changing the 2.2 ohm to 1 ohm and to my ear the highs are more vivid and alive. I can hear better precision and clarity after the mode. There is no hint of aggression, nothing sharp or edgy. The very best just got even better, not perfect but just got closer. You will not be too surprised to hear that the treble itself has improved, but in some ways the upper frequency region is surprisingly neutral, the most neutral I have ever heard.The bass was clean, fast and bass extension was not lacking, but the sense of weight and of power was always there. 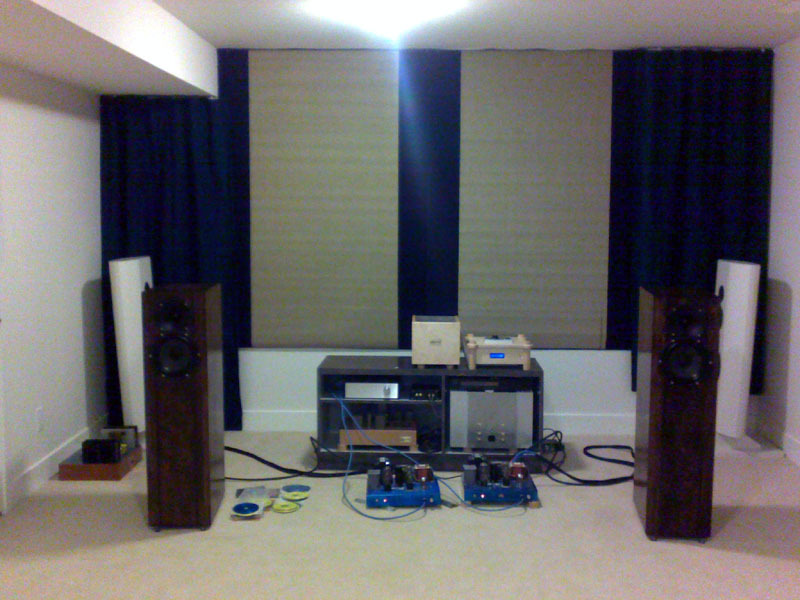 The mid is lush and smooth, also open and airy, and the whole system snapped into focus at a listening range. I leave 4 feet behind the speakers so to ensure the best bass/mid balance, and a clean, open and airy sound stage. Thanks again for sharing/guidance and hope your idea is endless so we could from time to time have chances to up-grade our system without breaking the bank. The 6AS7pp I have give very solid and strong mid/low bass, but sounds harsh to me and it's good for orchestral music though. My 300bxls 14w sounds more liquid/delicate at highs and lovely mids but soft at bass region, therefore it doesn't give punchy kind of bass at lower mid down. 6C33C is just about right. It sounds almost in the middle of the two. 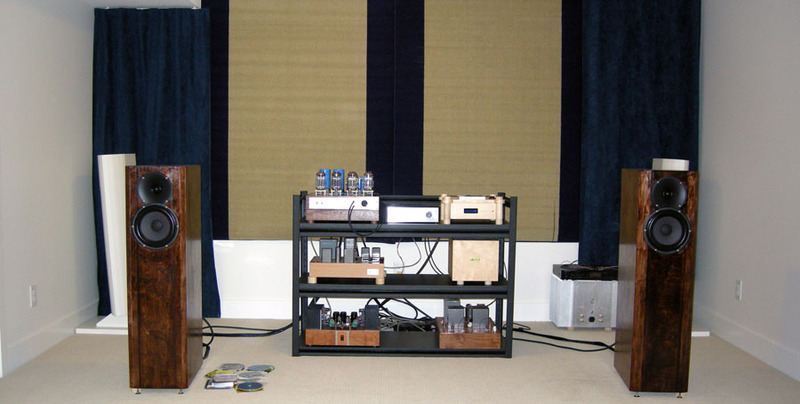 After serious listening, I love the 6C33 wide and deep sound stage than any other amp I built. May be it's the result of the wide bandwidth that it creates. On my test bench the 6C33 OTL shows the square wave ( all square ) from 15 - 31,000 and sine wave over 100k. 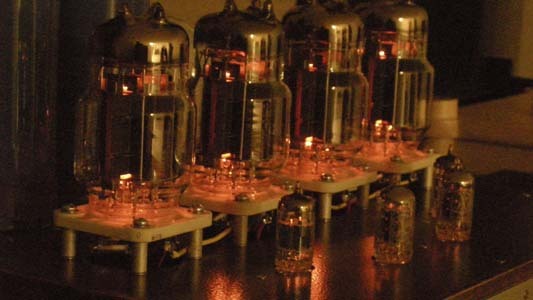 I'd certainly make another 6C33 with transformer, but the good 600 ohm OPT is not easy to obtain.